It’s beginning to look a lot like Ugly Christmas Sweater Season! We thought Ugly Sweaters were a thing of the past but, they’ve come back to party hearty! There are Ugly Sweater Parties, Bunco themed nights around them and for some, a Family Tradition to wear for Christmas! Who knew Grandma and Clark Griswold were such trend setters? 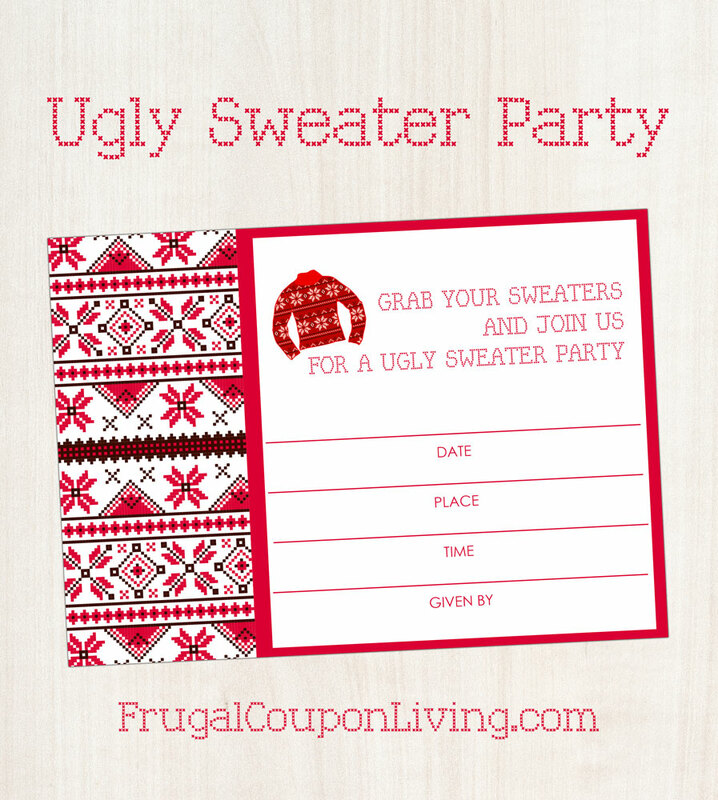 Print out these FREE PRINTABLE Ugly Sweater Invitations and have a fun festive party of your own! By downloading and using this FREE Printable you are accepting the terms that this is for personal, non-commercial use. Please contact Frugal Coupon Living with any questions. 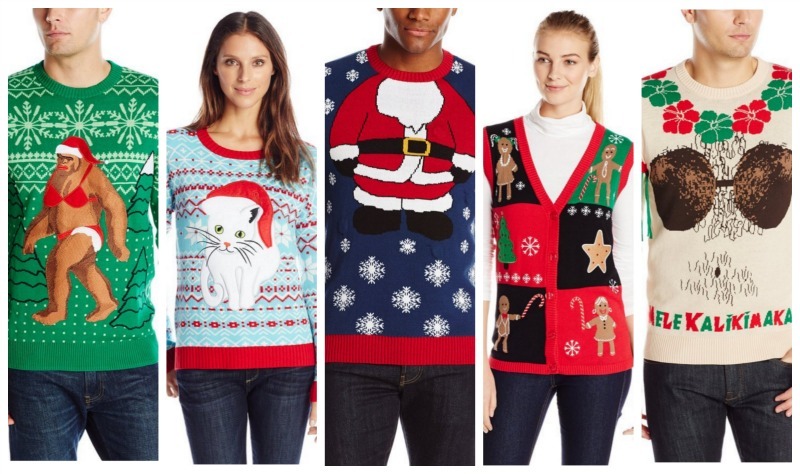 If you are looking for some inspiration, I have always loved these Ugly Christmas Sweaters – often 50% off! You can find more Ugly Sweater Ideas if you don’t like these! I think this goes best with our 31 FREE Christmas Printables –Pin to Pinterest. 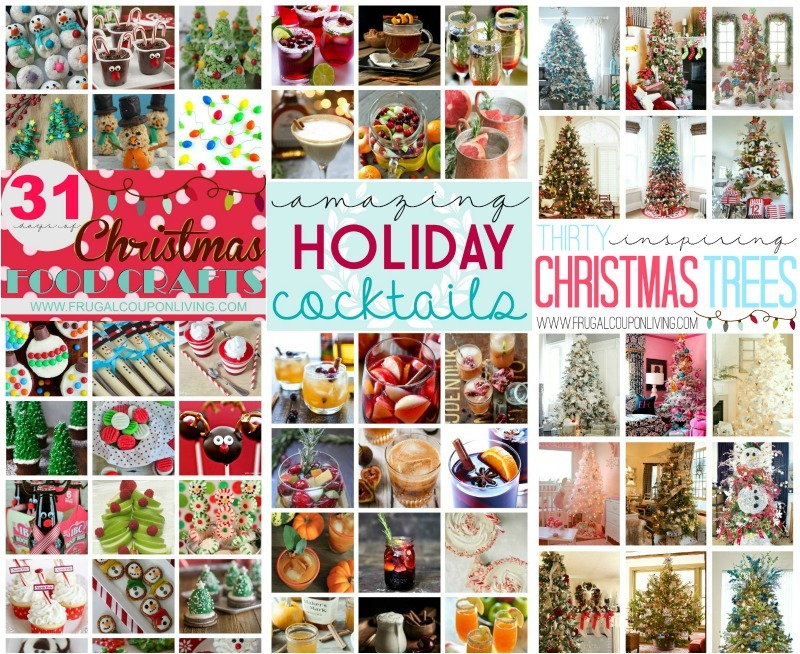 Also check out the 31 Days of Christmas Food Crafts (Pin to Pinterest), this amazing round-up of Holiday Cocktail Recipes (Pin to Pinterest), and these 30 Inspiring Christmas Tree Ideas (Pin to Pinterest).